Maria Shriver launched her digital Help-a-thon Wednesday morning, with more than a dozen TODAY experts taking your questions and concerns until at least 11 a.m. ET. What’s causing you the most stress in your life? Tell our experts, and they may help. They may provide strategies about simplifying your life, getting ahead at work, saving money, finding time for yourself and more. Doctors: Dr. Nancy Snyderman and Dr. Roshini Raj. Psychiatrists: Dr. Gail Saltz and Dr. Janet Taylor. Financial experts: Jean Chatzky, Sharon Epperson and Carmen Wong Ulrich. Careers and workplace experts: Ellen Galinsky, Cali Yost and Sylvia Ann Hewlett. We hope that our panel of experts will be able to address your most pressing questions, but what they say should not be taken as a substitute for seeking the advice or counsel of a professional who knows your history and will continue to work with and guide you in the future. There is no substitute for seeking professional guidance, and we hope that the information we provide will encourage you to seek help and ask the right questions. The Help-a-thon comes on the heels of the Sunday release of "The Shriver Report: A Woman’s Nation Pushes Back from the Brink," done in partnership with Center for American Progress and focusing on women in economic peril. Maria is also hosting an conference from 9 a.m. to 5 p.m. ET in conjunction with The Atlantic. Watch the panels and participate here. 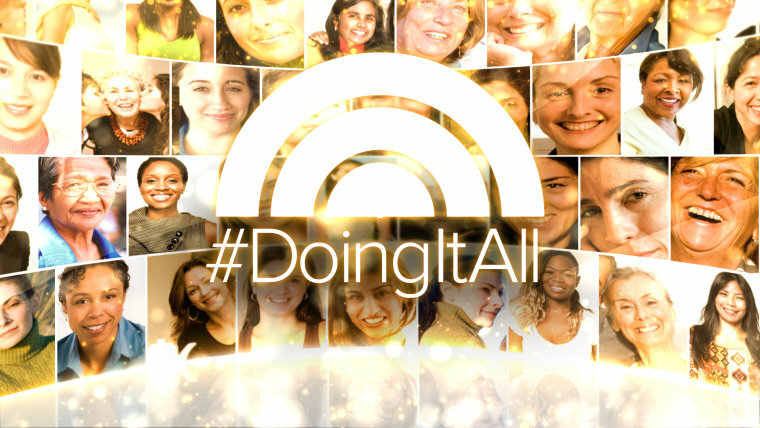 Find all of TODAY's #DoingItAll coverage.